I love looking back on my work over the year to see what was popular. I always do these end of the year reviews differently. This year, I decided to share the posts that brought the most traffic to my site. They weren’t necessarily shared the most, but many people found it somehow and stopped by to visit. They are also posts written in 2015 only. 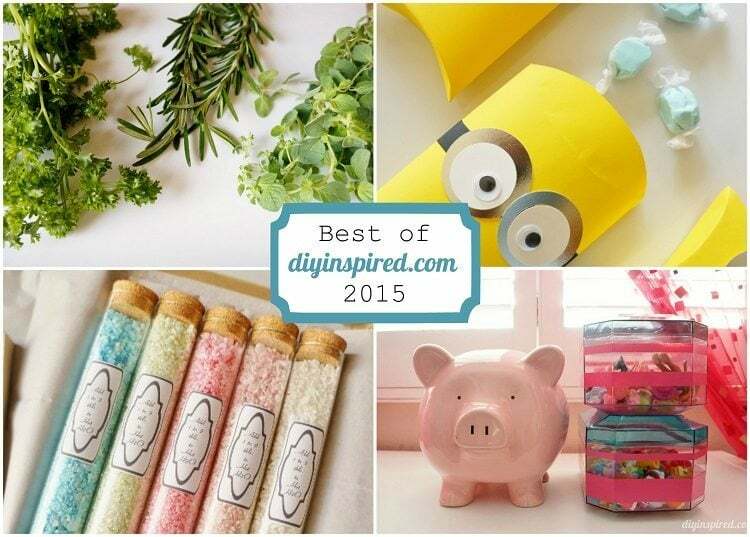 So, here is the best of DIY Inspired 2015. 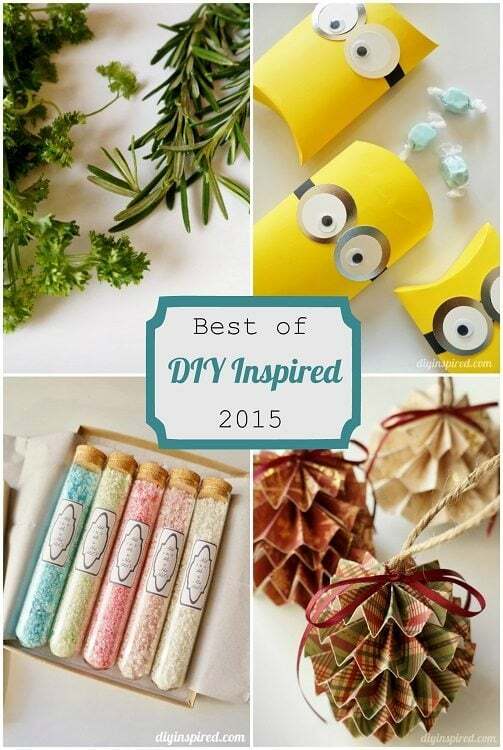 DIY Minions Party Ideas: This was a fun post I did on making inexpensive Minion themed party favors out of paper. 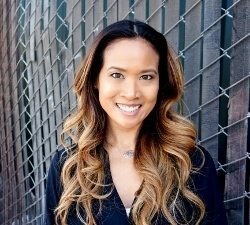 Lots of ideas, with lots of traffic! Upcycled Toy Storage: This post is funny to me because it came about because I was trying a new experiment. Usually, when I participate in Dollar Bin Challenges, it is only open to craft Bloggers. This time, I opened it up to my DIY Inspired Facebook Fans. I had an overwhelming response that people were interested and wanted to participate. When it came down to it, only one person did it! Ha! This tutorial was the result of mine. How to Make Homemade Bath Salts: We did a few Dollar Bin Challenges this year and one of them was making a craft using glass test tubes. 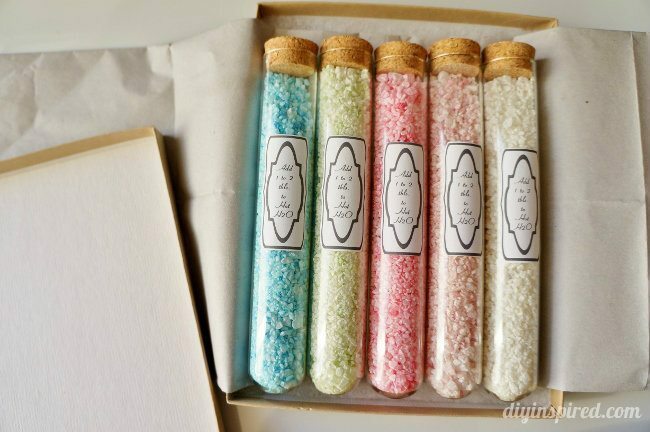 I made a colorful gift set of Bath Salts that is perfect for Mother’s Day, party favors, Teacher gift, or even a thank you or neighbor gift. 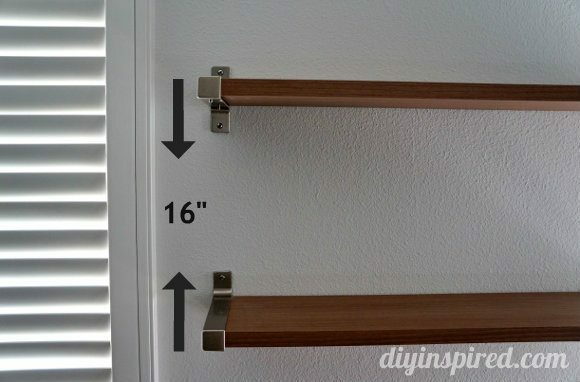 56 Repurposing Ideas for Ordinary Household Objects: I noticed I have done a lot of repurposing posts so I put together a list of many of my projects upcycling cardboard, cans, paper bags, thrift store finds, and more. Kitchen Cleaning Shortcuts: Simple tips for cleaning your kitchen with using Bounty with Dawn paper towels… I’m obsessed with them…apparently a lot of other people are too! 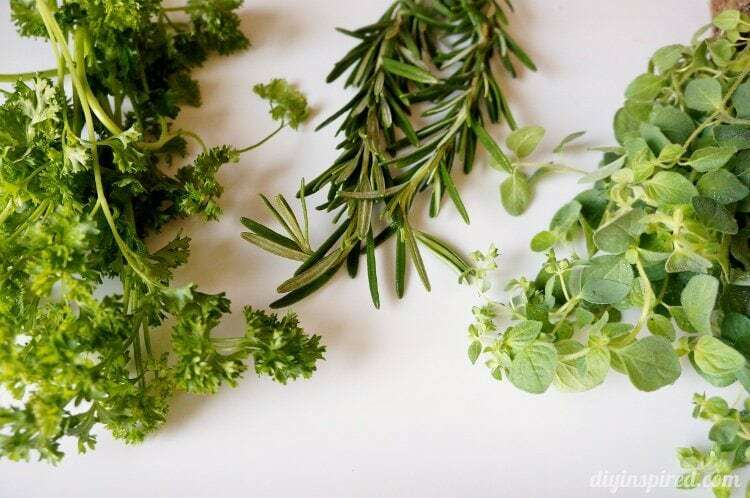 Tips for Growing Your Own Herbs: This was a guest post from my contributor, T. She is a gardening and trash to treasure guru and I am lucky to have her! This was her most popular post this year. She has followed it up with Drying your Own Herbs and Cooking with Herbs as well. How to Make Paper Pumpkins for Fall: I love a good paper craft and these cute little paper pumpkins were a hit. One thing I did notice after I published it was that my pumpkin leaves were cut in the wrong shape! So, this can double as a paper orange tutorial too! Ha!!! DIY Paper Christmas Ornaments: Because my paper pumpkins were so popular, I ended up wanting to fine tune the tutorial so I made a Christmas version. I got so many emails saying that they were making these for their annual holiday parties and craft nights. It was great!